All Belle Mead homes currently listed for sale in Belle Mead as of 04/22/2019 are shown below. You can change the search criteria at any time by pressing the 'Change Search' button below. If you have any questions or you would like more information about any Belle Mead homes for sale or other Belle Mead real estate, please contact us and one of our knowledgeable Belle Mead REALTORS® would be pleased to assist you. "A gated driveway, nestled in a community of attractive homes, leads to this gracious equestrian property and distinctive offering ? Wyllow Bend Farm. 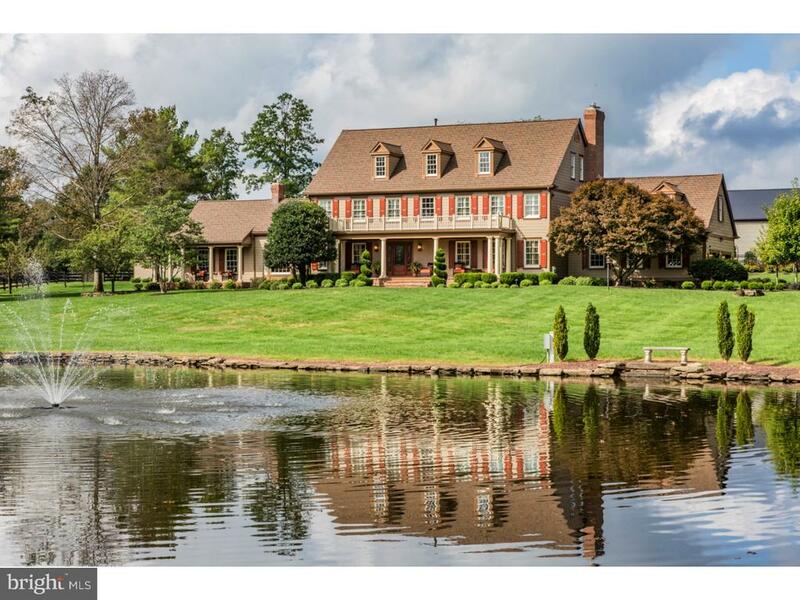 The 24+ acre grounds boast a tranquil setting with a pond, fountain, pastures and a new saltwater swimming pool. Five paddocks plus a state-of-the-art custom-built barn and indoor riding arena, bathroom, tack room and wash stall meet all equestrian needs. No expense was spared in renovations and upgrades. The stunning Georgian-inspired home seamlessly blends elegance and warmth. Handcrafted woodwork and moldings, new systems and lighting, a new generator, and custom built-ins are on a long list of recent improvements. A pull-up island with plenty of seating creates the perfect spot for conversation in the new gourmet kitchen. A sunroom spills out to the new deck and pool with scenic grounds beckoning beyond. The formal living room shows off a coffered ceiling and the family room basks in the warmth of a gas fireplace. Both a library and home office fan from the entrance hall. Upstairs, two bedrooms share a hall bath while the expansive master contains a dressing room, gym, custom closets and a gorgeous new bathroom. The guest bedroom has its own bath. In the lower level, find a fantastic entertaining space with a bar and powder room. A heated 6-bay garage complements an attached 2-car garage for the collector. While currently set up as a full service equestrian facility, there are endless possibilities for the collector, gentleman farmer, fitness enthusiast, and beyond. Truly extraordinary!" "Custom built to the highest standards by Grosso, this stunning home offers three levels of bespoke living space. Lush grounds are professionally maintained and entirely fenced with indoor parking for 6 cars. Inside, a luxurious elegance graces the flow-through living and dining rooms sided by a conservatory with fireplace and covered porch. The gourmet kitchen fulfills every cook's dream with a 6-burner Viking range, Sub-zero fridge, custom cabinetty and granite counters. The fireside family room, breakfast room and sunroom are filled with sunlight and open to one another and the outdoors. A study/5th bedroom is adjacent a full bath. The lower level includes a home theater with surround sound, bonus room & storage. Taking center stage on the second floor is the master suite with its boutique-style walk-in with custom organizers, a sitting room, sumptuous ensuite and inlay floors. A second two-room suite near the back stairs would be the ideal au pair space. All 4 bedrooms connect directly to a bath. Don't miss the laundry room's storage closet!" 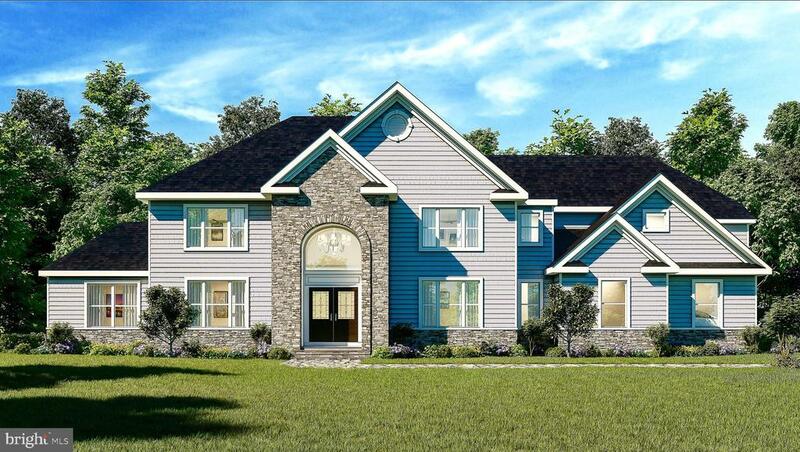 "Brand new 6BR, 4.5 Bath exquisitely designed Custom Colonial with In-Law Suite & high-end upgrades. 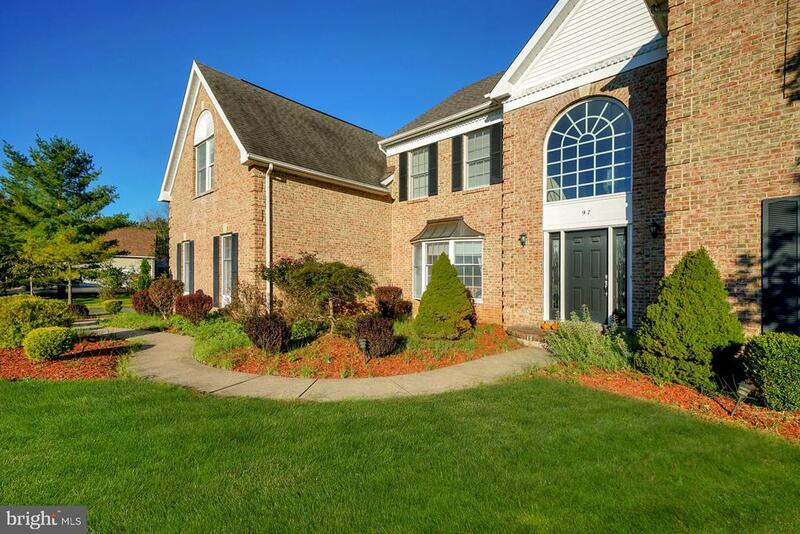 Located in a neighborhood of fine homes in Montgomery Township known for its excellent schools. Custom walkway and porch, both set in blue stone. Level 1 has a gourmet kitchen w/ large center island, breakfast room, high-end appliances, marble backsplash & under-cabinet LED lights. Andersen sliders lead to a raised blue stone patio. Other rooms include an In-Law suite with full bath, living & dining rooms & family room with gas FP. Upstairs is a master suite with Berber carpet, tray ceiling, LED lights & ceiling fan. Master closet has an island w/granite top & chandelier. Master bath has heated floors. 4 Jack & Jill bedrooms & laundry room w/built-in cabinetry complete this level. Masterfully designed & Luxurious!" "This grand 4,800 sq feet home offers a flowing, open floor plan on the first floor with lots of light coming in. First floor offers an in law suite, study, living and diving room as well as a huge 2 story family room that is open to the gourmet kitchen. Upstairs a large master bedroom suite and 3 additional bedrooms that share 2 full bathrooms. 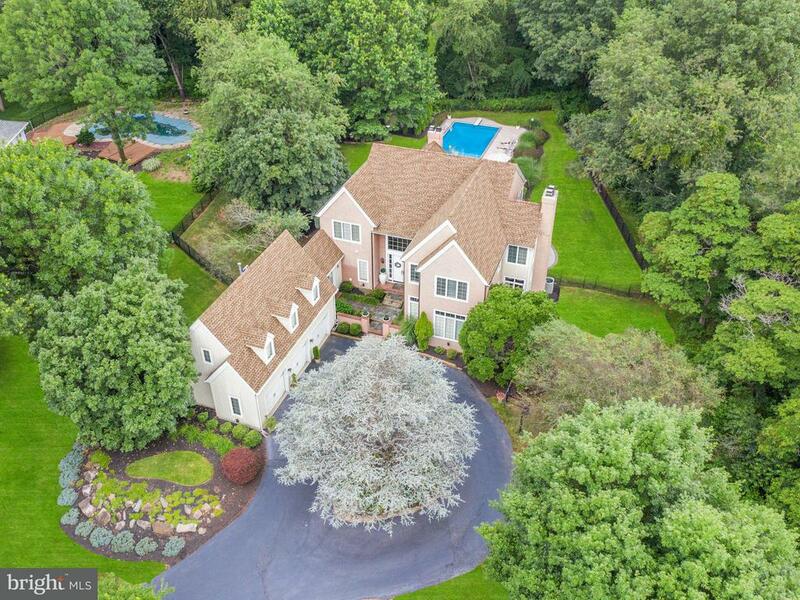 3 car garage on a 2.4 acre lot completest this beautiful estate. The buyer can pick their own finishes at this time." "New Construction North East facing luxury home in Montgomery for sale! 4 bedrooms, 3 1/5 bathrooms. First floor in law suite can easily be added. Open floor plan with lots of light, gourmet kitchen with an island and pantry. 3 car garage on a large 1.57 acre lot. Picture is showing an upgraded full stone exterior and bay windows. Other floor plans available for this lot as well." "French Country Inspired with style & sophistication ~ perfectly manicured grounds nestled among a quiet cul-de-sac setting. 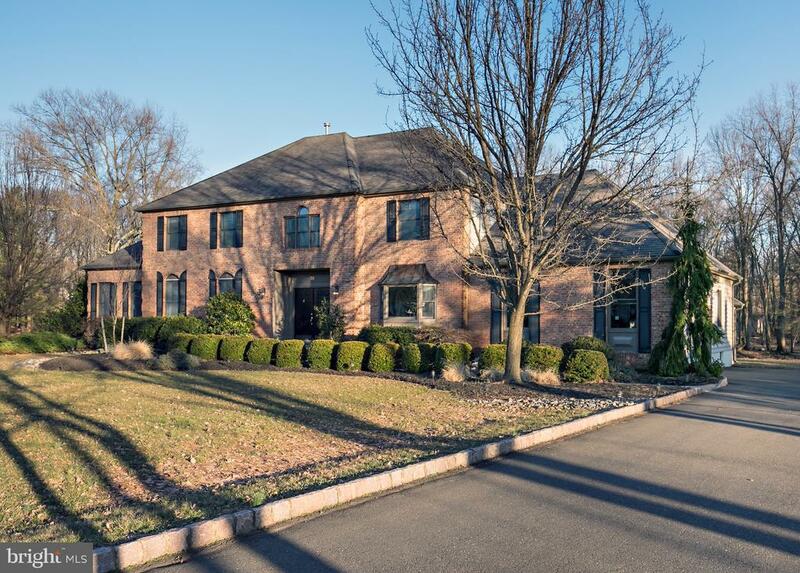 Offering over 4800 sf of luxury living with renovated kitchen & renovated master bath. Carriage style courtyard entry will welcome you to this remarkable home with picturesque views. Formal & informal gathering spaces for everyday living & lavish entertaining. Dramatic entry foyer leads to the generous first floor library which offers flexibility to use as 5th bedroom. (Call agent to discuss options - including possible addition of full bath.) Formal living room with fireplace, gracious dining room filled with natural light, 2 story familyroom with 2nd fireplace plus easy access to the gorgeous outdoor spaces. Renovated kitchen with custom cabinetry, granite counters & premium Viking SS appliances. Lovely sunfilled breakfast room. Escape to the 2nd floor theatre/gathering room off the laundry room with convenient back stairs. Master suite includes a 3rd fireplace, sitting area & renovated spa-like master bath with 2 walk-in closets with organizers. Three additional spacious bedrooms & full bath complete the 2nd floor. Basement allows super storage space & access to the mechanicals, plus a 3 car garage that also allows access to the basement. Peace of mind ~ whole house generator, roof & central air approx. 7 years old, 3 zones of energy efficient heating & cooling plus much more! Entertain alfresco by the amazing pool on the wonderful patios, covered side porch, fenced yard with lots of play space in your own oasis. Currently 4 bedrooms and 2 1/2 bath. Seller will entertain adding 1st level full bath. Call agent to understand options. 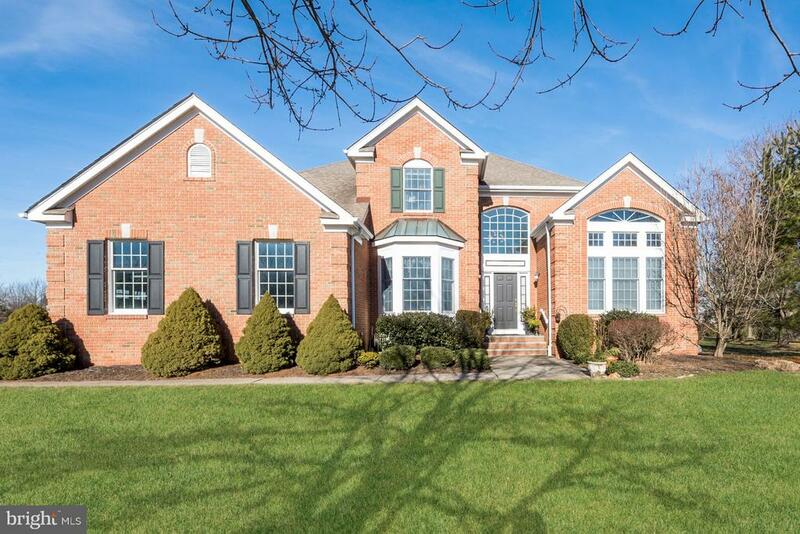 Simply stunning home near the Blue Ribbon Montgomery Schools & minutes to downtown Princeton. Welcome Home!" "New Construction luxury home in Montgomery for sale! Cul-de-sac location. 4 bedrooms, 3 1/5 bathrooms. First floor in law suite can easily be added. Open floor plan with lots of light, and gourmet kitchen with an island and pantry. 3 car garage on a large 1.01 acre lot. Other floor plans also available for this lot." 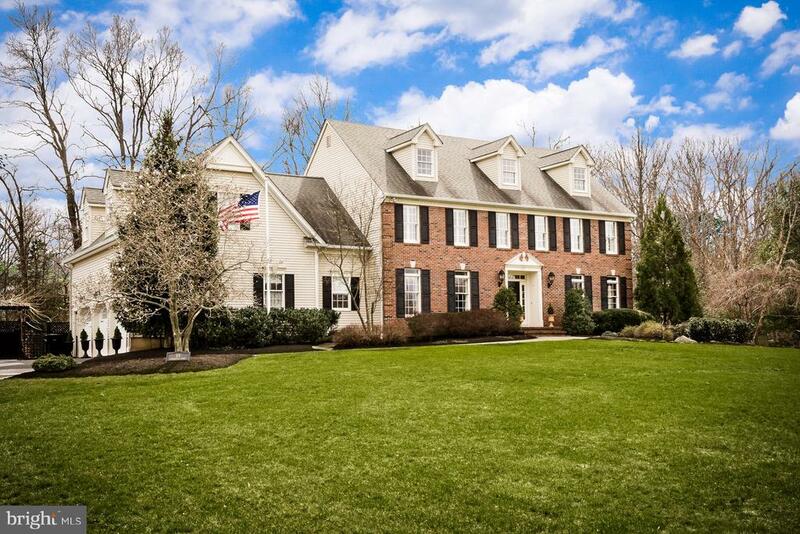 "An elegant and soaring two-story foyer sets the tone for this stately and handsome Belle Mead 4/5 Bedroom residence. From a gracious open floor plan, to designer chef's kitchen, formal and informal living spaces, generous bedrooms, and an outdoor entertainer's paradise, this modern-day estate offers it all. The artful high-end details complement the open and flowing layout throughout the home. The spacious open floor plan provides an elegant backdrop for easy day-to-day living. Boasting over 4,400 square feet, this home seamlessly flows across two levels; a finished basement adds an additional 1,300 square feet. The basement is as meticulously crafted as the main living areas?it offers a birch paneled wet bar, gym, rec room, media room, game room and a full bathroom. In the summer, living spills outside right into its very own outdoor entertainer's paradise. From the extra space in the finished basement to the outdoor escape, this expansive home offers an abundance of artfully crafted space. The expertly designed chef's kitchen makes cooking a delight, whether it's a quick weeknight dinner or a luxurious five-course meal. The recently updated countertops, granite island, high end Kitchen Aid and Jenn-Air appliances, and separate breakfast area all work together to create this dream kitchen. Living spaces abound in this expansive residence. 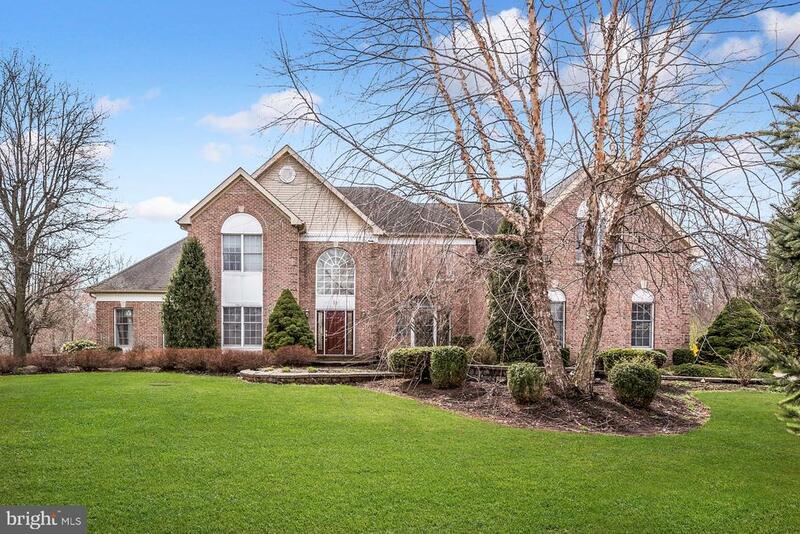 A formal dining room, formal living room, family room, great room, finished basement, and office/5th BR w/full bath provide a comfortable setting for any occasion. The purposefully designed floor plan features luxurious accents such as chandeliers, gleaming hardwood floors, crown molding, chair rail molding, detailed ceilings, and large custom windows. From the gracious sitting area to spa-like amenities, the master suite serves as a private retreat. The three other well-appointed bedrooms share a spacious bath on the second level. 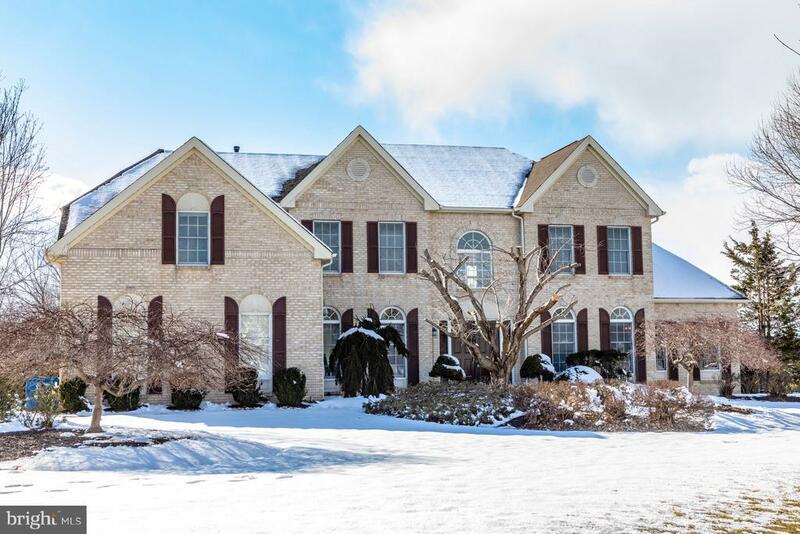 An abundance of walk-in closets and storage will be a delight for even the most meticulous organize"
"Warm sunlight bathes the waterfall and free-form swimming pool that grace the grounds of this handsome home in Montgomery Township. A much-loved neighborhood known for its streets lined with well-cared-for executive homes is seemingly tucked away. 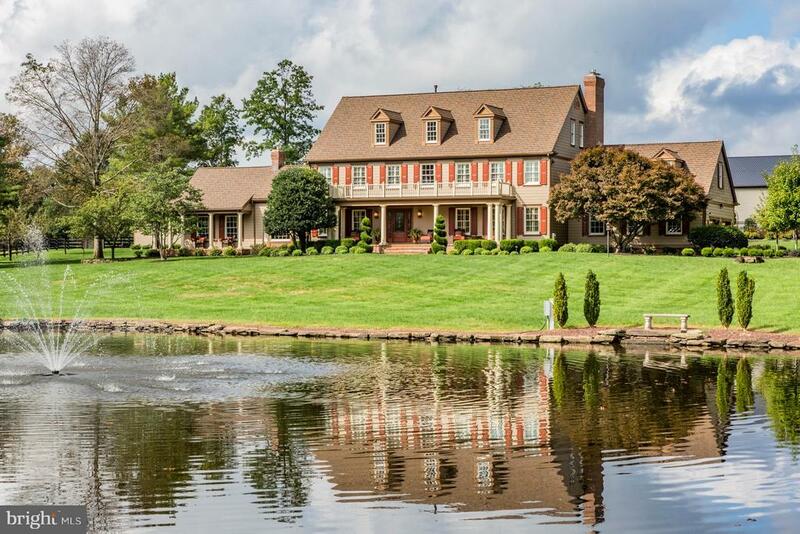 Yet, within a few miles, are all of life's conveniences including major highways, shopping, easy access to downtown Princeton plus highly ranked Montgomery schools. Inside, a classic floorplan is both nurturing and luxurious with updates in all the right places. Pass by the elegant formal rooms to find a high-end kitchen renovation where sleek granite and pro-style appliances will delight the gourmet cook, all open to a fabulous family room, a home office, and a year-round sunroom. When spillover space is needed, the finished basement offers plenty including a wet bar and half bath. Upstairs, four bedrooms and an updated hall bathroom are neat as a pin. The owners' suite features its own spa bath, a sitting room and plenty of walk-in storage. A whole house generator takes the hassle out of foul weather." "Balancing luxury with livability, this Grosso-built beauty in upscale Hidden Estates in Montgomery has it all! Beginning with the backyard, on par with a five-star resort, find a swoon-worthy swimming pool and entertaining deck. Formal rooms and a study are organized around a dramatic entrance hall with views toward the sky-lit family room, which opens to the outdoors via glass sliders. The custom kitchen is clad in sparkling granite and stainless steel serving as the hub of the house. Additional counters were added for bar, desk and butler service. Nearby laundry coupled with a back staircase makes this chore a breeze. A palatial master with an en suite bath and a sitting room that could be turned into a 5th bedroom is one of 4 bedrooms on the second floor. The finished lower level is the perfect spot to curl up for an evening of movies and popcorn. Excellent schools are close by as are all the essential shopping, restaurants, and living conveniences!" 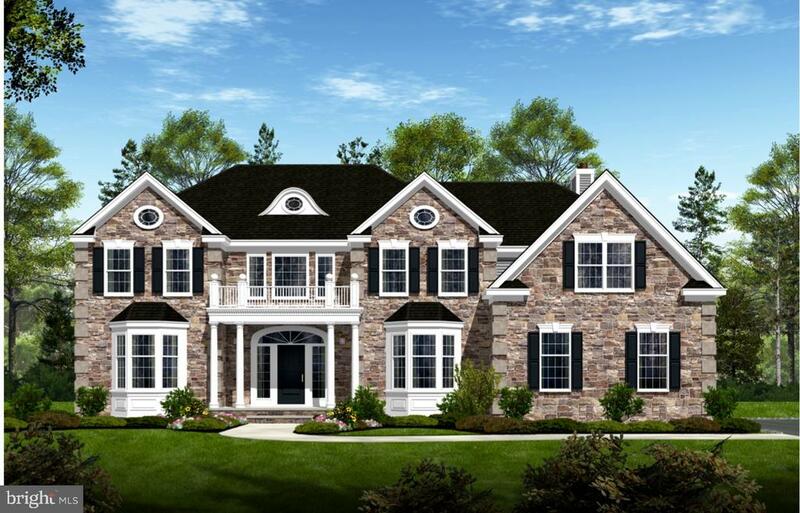 "The Knightsbridge model, part of the Bridle Collection of Country Club Estates in Brand new upscale community in Montgomery Township. partial stone front; paver driveways and walkways; 2 car garage, 4 bedrooms, study/bedroom on first floor with private bathroom; 3137 sq ft home, large gourmet eat in kitchen offset in backyard to feature windows on three sides; large corner room with fireplace; elegant dining room/living room combination. Second floor laundry room"
"Dakota model in brand new upscale community in Montgomery Township. 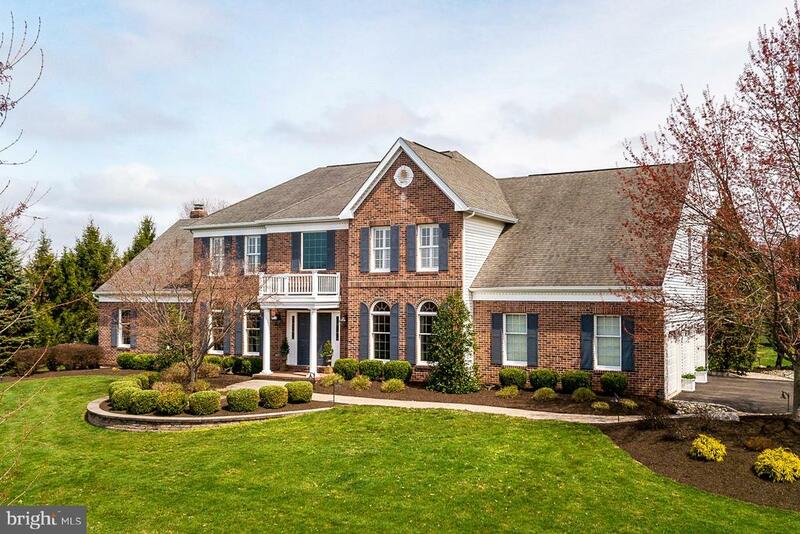 Partial stone front; paver driveways and walkways; 2 car garage; 4/5 bedrooms, 3191 sq ft; classic elegance; includes sophisticated dining room with butler's pantry; gourmet eat-in kitchen with stainless steel appliances. Study/5th bedroom on first floor with private bathroom. Master bedroom suite offers sitting area and his and her walk in closets." "This sun-drenched home offers superb finishes throughout, with paint colors in soothing grays and chalky whites that feel modern and fresh, attractive moldings and lustrous wood floors. Butterfly stairs add a touch of elegance to the entrance hall, sided by formal living and dining rooms. Beyond, a dreamy kitchen was recently updated, outfitted with new stainless appliances, granite topped counters and an island with seating. The family room has soaring skylights in the volume ceiling and a woodburning fireplace to take the chill out of winter. A study with built-in shelves flows into flexible bonus rooms with a full bath and separate entrance that could be an in-law set up, if desired. Relax on the expansive patio with a built-in charcoal grill all summer long. Four bedrooms radiate from an open second-floor hall with two sets of stairs to reach them. Two share a Jack and Jill bath, a third bedroom has its own intimate bath, and the master suite showcases a spa-style bathroom with whirlpool tub, sitting room, and big organized closet storage"
"Builded by Toll Brothers, wood review, beautiful colonial with a paver stone driveway, really looks like a Manor, in one of Montgomery's most desired neighborhoods. Move right in, 2 stories open foyer, Living room combines with a sun-filled, double-sized and tile floor conservatory, Dinning room with bay window, Family room with a brick fireplace, cathedral ceiling, skylights, Woods review den with bay window shows a wall of floor-to-ceiling shelving can be a office or study room. Kitchen offers an island with breakfast area and and access the backyard deck, offering a trio of spaces for party in summer. Split stairs lead to four bedrooms, upstairs hall overlooks the family room, Master suite through hardwood floor, sun-filled sitting area, two walk-in closets and a extra room with window, Master bath offers has whirlpool tub, shower, marble top, cherry vanities, vaulted ceiling with skylight. Also three spacious bedrooms, double sinks bathroom. Finished basement with second laundry and wet bar. ~ Blue Ribbon Montgomery School District, Beautiful lifestyle." "PRICED TO SELL Spacious 6 bedrooms, 4 and half bathrooms Colonial in an established neighborhood with Montgomery Blue Ribbon Schools. First floor offers formal family, living and dining rooms, library room, beautiful sunroom (recreation room) and in-law suite with full bathroom. The 2nd Floor consists of the master bedroom with sitting area, walk-in closets, full bath with both tub and separate shower, and three separate bedrooms.Partially finished walkout basement consists a bedroom with full bathroom. Must See!" "Custom Home! A Conveniently Located 1st floor Bedroom with a Private Full Bath, this Space Could Be Used as a Guest Rm or In-Law Suite;Enjoy the Country Style Living & Blue-Ribbon School System in the Prestigious Town of Montgomery. Features Include: 9'Ceiling on the 1st floor;Two-Story Foyer; Hardwood floor;Newer Appliances; 42 Cabinets;A Butler Pantry Between Dining Rm and Kitchen plus Walk-in Food Pantry in Kitchen; Main Level Laundry with Utility Sink;Jacuzzi Tub, Double Vanities in Master Bath;Sitting room/Den & Walk-in Closets in the Master Bedroom; Princess Suite Upstairs;Entertain Your Guests on a Private Wooded Lot. Patio Provides Many Opportunities for Outdoor Gatherings.Easy Access to Rt 206 and Minutes to Downtown Princeton, Shopping Center, Fitness Center, Restaurant, Library and Schools." 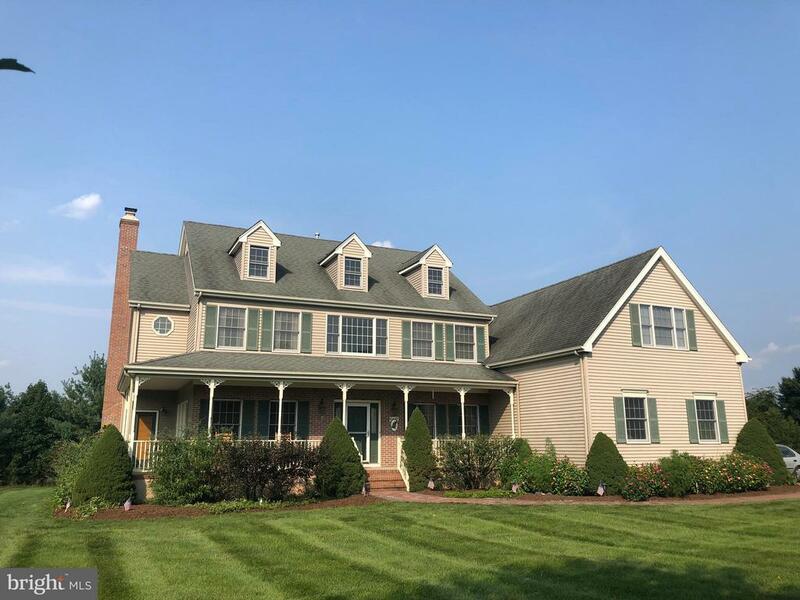 "JUST REDUCED!This beautifully maintained 5 bedroom, 3.5 bath colonial home, boasts an open floor plan with 3,975 sq ft of spacious sunlit rooms throughout. Accented with many features such as: formal dining w/ french doors, detailed trim & chair rail moldings; formal living room w/ full wall windows leading to a sunroom...perfect for gatherings while enjoying the views to the yard; brick wall fireplace in FR w/vaulted ceilings & skylights, featuring sliders that lead to a spacious deck; first floor den; ample kitchen with oak cabinets, center island w/breakfast bar; updated powder room; 5 generous bedrooms on second level w/ walk in closets; master bathroom with dual sinks; updated main bath; in law suite with private full bath; meticulously maintained; freshly painted rooms; 1 newer CAC/Furnace." 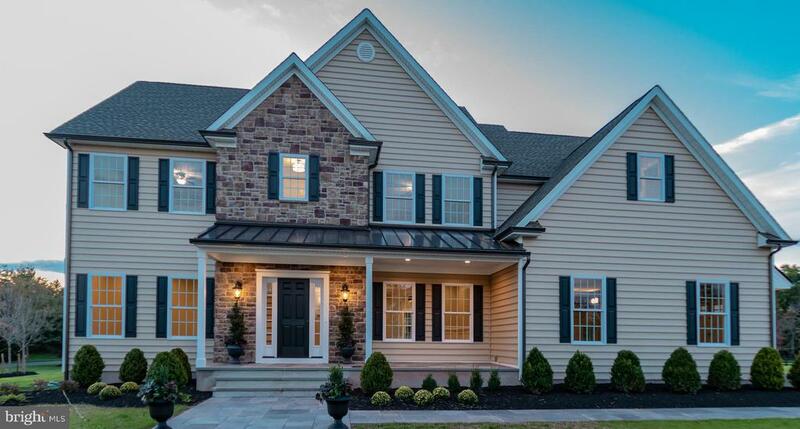 "Presenting a gorgeous, freshly painted & well maintained, turn key, Classic Doulton II model home by Country Classics situated on 2 beautiful acres located in the recently awarded #1 place to live in NJ, Montgomery Twp! 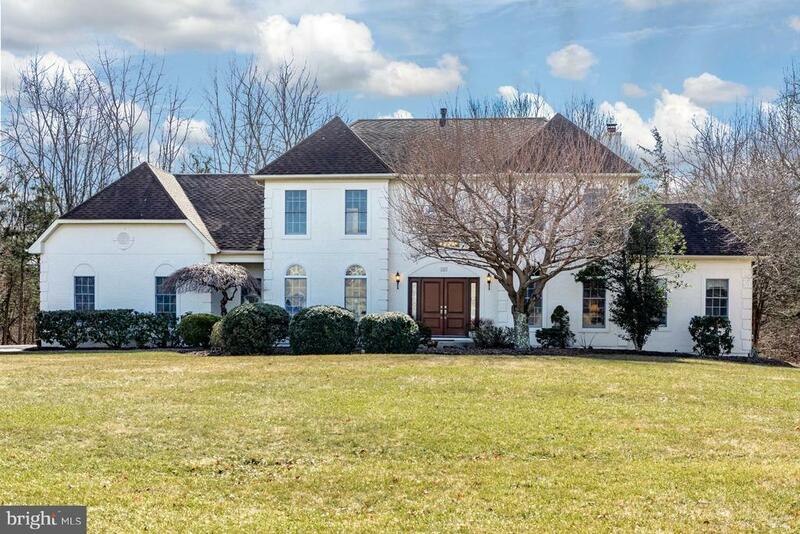 This home allows for abundant sunshine offering a spectacular view of the sunrises & sunsets. Exterior features include a wrap around porch, 3 car garage, large deck that connects to a gorgeous in-ground pool surrounded by a large paver patio area overlooking lush green lawns & landscaping. 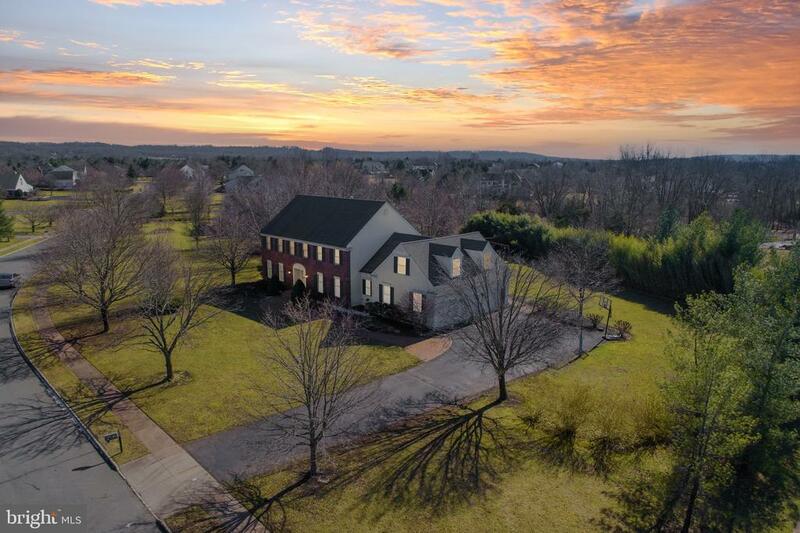 Interior features include 9ft ceilings, 2 story foyer, hardwood floors, beautiful French doors, gourmet kitchen w/breakfast area, upgraded granite tops, SS appliances, large center island, 42 custom cabinets, 1st flr laundry & study (poss 6th BR). 2nd floor has 4 spacious bedrooms and an expansive Master w/walk-in closet, sitting area & large bath w/custom stall shower, Jacuzzi style tub, double sink & custom tile. LED lighting throughout. The basement boasts a fantastic, finished rec room, spacious tv/movie area & plenty of storage space. Additional features are a new 75 gallon HWH & newer HVAC system, security system, blue ribbon schools, corner lot w & privacy with proximity to shopping, highways, airports, trains, NYC or Philly while being set in a community setting!" "This master built Toll Brothers home featuring 4 bedrooms, 2.5 baths is in pristine condition and is a value for this quiet, and beautiful neighborhood! Colonial style with light pours into a dramatic two-story entry that's surrounded by impeccable formal rooms. The study is set back in a corner behind french doors alongside a cathedral family-room. Warm paint colors are up-to-date and complement a fireplace that extends to the sky-light ceiling. Kitchen provides doors to an expansive patio with a built-in grill and spacious backyard. A split staircase climbs to a bridged hall overlooking rooms below. Here find the epitome of a master suite. With a sitting room, exercise room, bedroom, three walk-in closets and a luxury bathroom. Three other bedrooms are cheerful. Fabulous location convenient to Princeton. Close to all the essentials - shopping, top-ranked Montgomery schools, and restaurants, this one is at the ready to be your home." 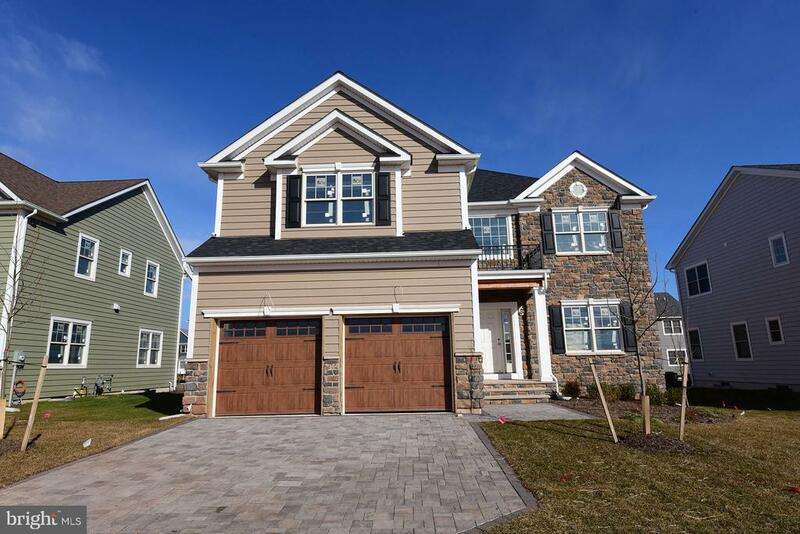 "Manchester model in brand new upscale community in Montgomery Township; classic patio home. Partial stone front; paver stone driveway and service walk; 2 car garage. Gourmet island kitchen with dinette; spacious dining room; 4 bedrooms incl master bedroom suite featuring 2 walk in closets and sitting room. 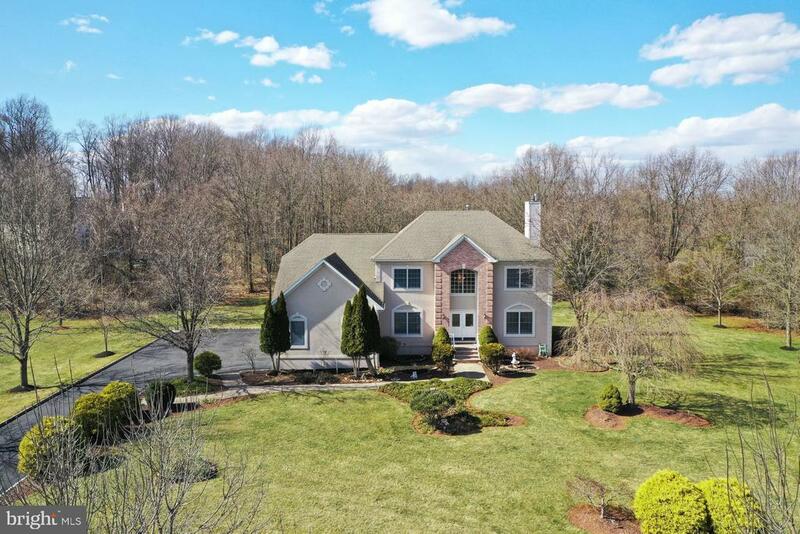 3.5 bathrooms"
"Welcome Home to this beautiful brick front colonial nestled on a quiet cul-de-sac with spectacular views of open space and impressive landscaping. Pristine home with attention to detail and lovingly maintained. Dramatic 2 story entrance leads to private office, lovely living room with vaulted ceiling & generous formal dining room to entertain your guests. Renovated kitchen with stainless steel appliances, walk in pantry, granite island and counters, flow into wonderful family room with built in cabinetry & wood burning fireplace. The natural light and views from each room are tremendous. The second floor boasts 4 bedrooms including master bedroom with 2 walk-in closets & spacious master bath with soaking tub and over sized shower stall. Additional storage with easy attic access. Enjoy your outdoor living space with beautiful 2-tiered maintenance free deck, patio, fish pond and gazebo all over looking views of the impressive gardens leading to open space providing privacy and tranquil views. Wonderful community of Kings Crossing offers clubhouse, walking trails, tennis courts, playground and pool. Blue Ribbon Montgomery Schools with Princeton on your doorstep!" "Basking in a sun-soaked interior, this stately home has been tastefully adorned with transom and Palladian windows, fluted and crown moldings, skylights and so much more. Wood floors unite the foyer with formal rooms and a library. Along the back of the home, facing a picturesque treed yard and patio, are the updated kitchen and family room with a fireplace. The kitchen features 42 cabinetry, a granite breakfast bar, a new refrigerator, ovens, and stovetop. The home office is tucked neatly near the laundry room making it simple to get chores done on work from home days. Upstairs, neutral carpet blankets four bedrooms. A hall bath tends to three and a big sky-lit en suite pampers homeowners in the master bedroom. From the sitting room enjoy treetop scenery. A spacious walk-in closet completes. The whole-house generator takes the bite out of winter power outages. This terrific sidewalk neighborhood is within easy reach of transportation, parks, Princeton University and highly ranked Montgomery schools. Perfect to move straight into and enjoy!"